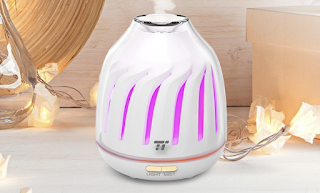 Amazon has this TaoTronics Essential Oil Diffuser for just $9.99 when you use coupon code 6569G7ML at checkout. This has great reviews! It look like it would be great for smaller spaces like desks, bathrooms, kitchens, etc. Note: The price will not show as $9.99 until you add the prodcut to your cart and enter the coupon code at checkout.